When it comes to running a business few activities are more important than book keeping. Unfortunately it’s also at best a tedious chore and at worst a detrimental, time consuming distraction; pulling you away from more productive jobs. HMRC require that all books are kept up to date and presented in a very particular format which leads many business owners to stress as to whether they are handling them correctly. The last thing anyone wants is to find that they’ve made a costly error somewhere in their accounts. At Wallace White Accountants we take care of all your book keeping needs. We make sure that every aspect of your accounts are correct, up to date and in line with all of HMRC’s requirements. Our accountants take the stress out of book keeping spending the time so you don’t have to. Their expert knowledge regarding everything from the legal necessities to tax requirements ensures that nothing is missed or omitted. You can rest safe in the knowledge that there are no nasty surprises lurking round the corner. 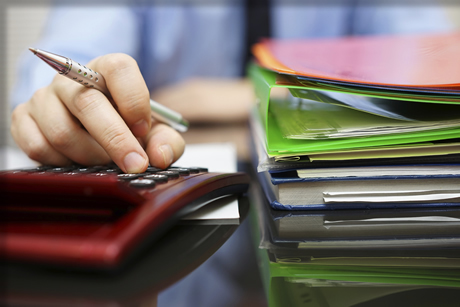 We offer our book keeping services at very competitive rates. We agree all of our costs in advance and all of our charges are tax deductible. Call us today to learn how we can save you time and money. If you are interested in Book Keeping services from Wallace White Accountants then please fill out the quick Enquiry Form below or simply give us a call on 0141 221 4345. We assure you of a quick response.